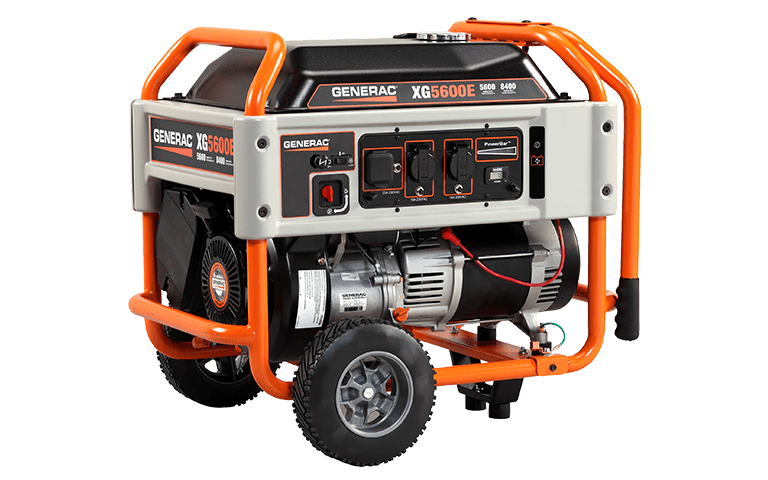 Generac OHVI® engine provides full-pressure lubrication with automatic low-oil pressure shut down. Engine controls located on control panel for simple operation and easy start-up. One-touch automatic electric start with external plug-in battery charger to keep battery charged and ready to go. Full-wrap, heavy-duty frame tubing provides strong, durable protection for rugged environments. All-terrain, never flat wheels for reliable portability. Covered outlets provide added protection from the environment and adverse working conditions.